A lot of us want to improve our factory sound system. For many, the first step is subs and an amp. However, I don't feel that is the correct first step. #1 should be new front speakers. You've seen my 2001 EX build with speakers in the kicks. Most people aren't willing to go to that extreme. 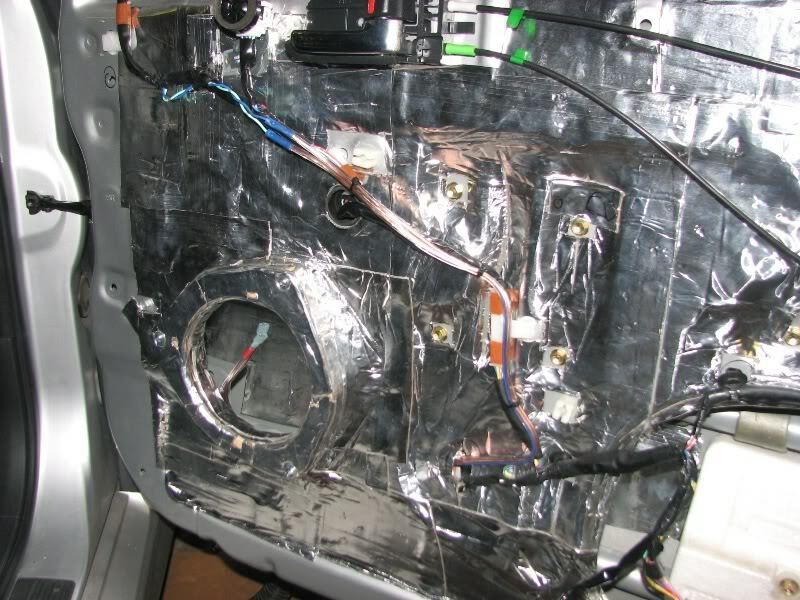 So i'm going to give you some photos and instruction on how I go about installing aftermarket speakers in factory door locations. It will take you time, but when it's done right there is nothing quite like it. The vehicle for this instruction is not a Honda, because that's not what i'm working on right now. It's a 2005 Scion tC. 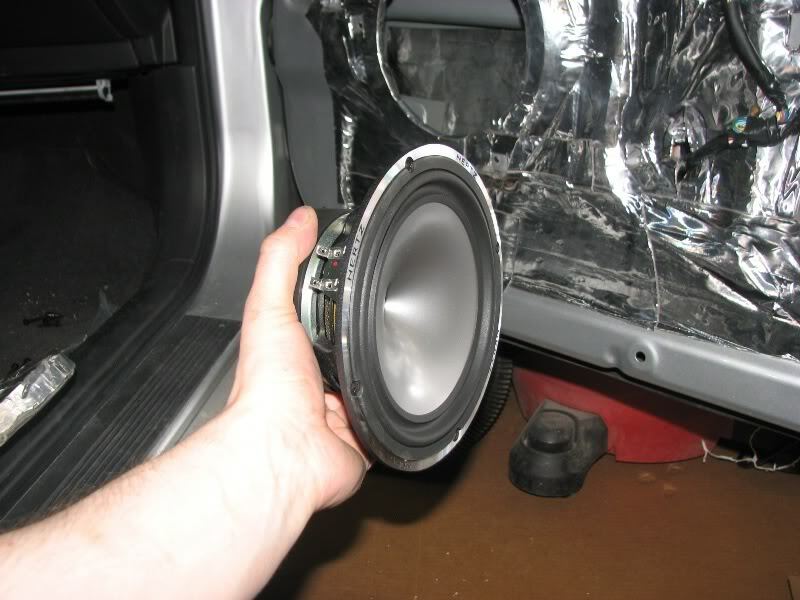 I'm using it as an example because the factory speakers and methods are near identical to a newer Honda. So follow along, and ask questions as they arise. 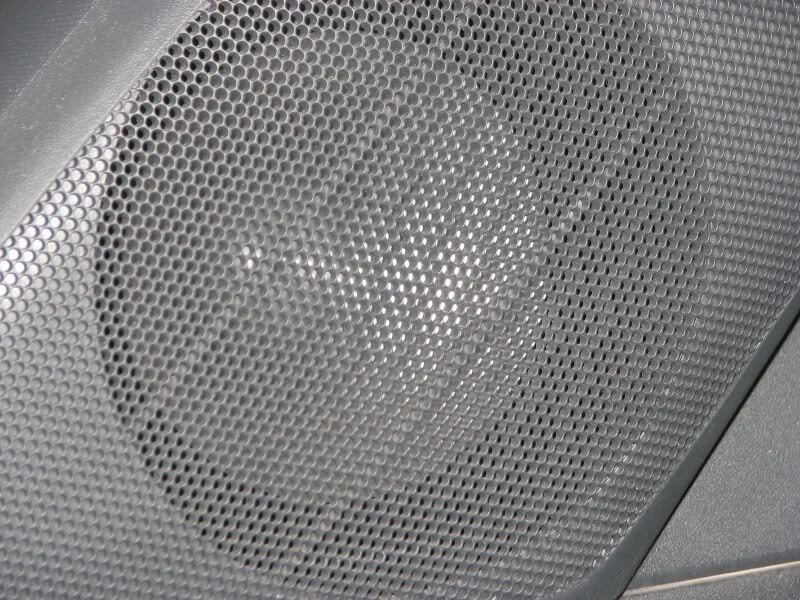 Front Speakers: Hertz Mille MLK-165 6.5"
Rear Speakers: None - Hertz High Energy HV165XL planned for future. 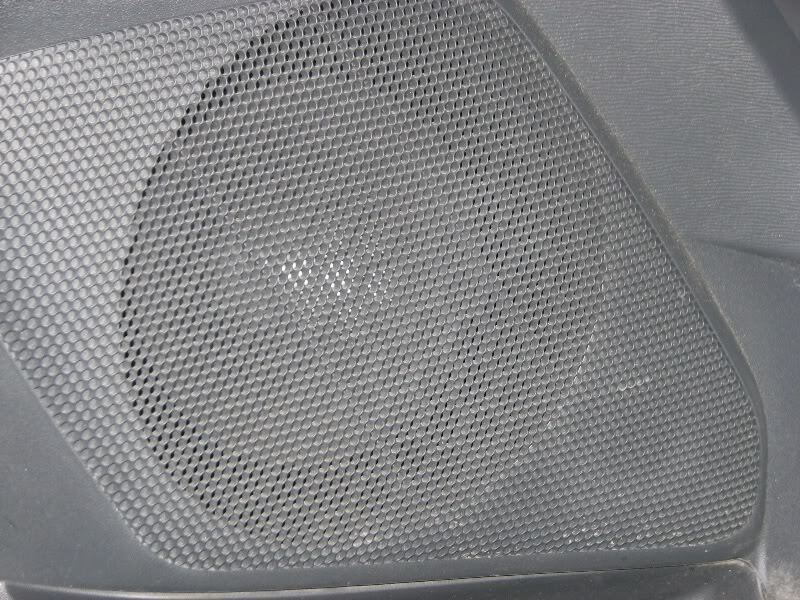 Sub: Hertz High Energy HX300 12"
This list of equipment is all purchased authorized from a local shop. Their prices are the same as online and they warranty directly. Cost of equipment listed is about $3300. We also picked up 200st. ft. of Raammat BXT II and 200 sq. ft. of adhesive Ensolite ($800 total). The entire vehicle will be treated. Last edited by keep_hope_alive; 05-29-2010 at 12:20 AM. Mount using the factory speaker rivet holes and a 1.5" 10-24 machine screw and bolt. 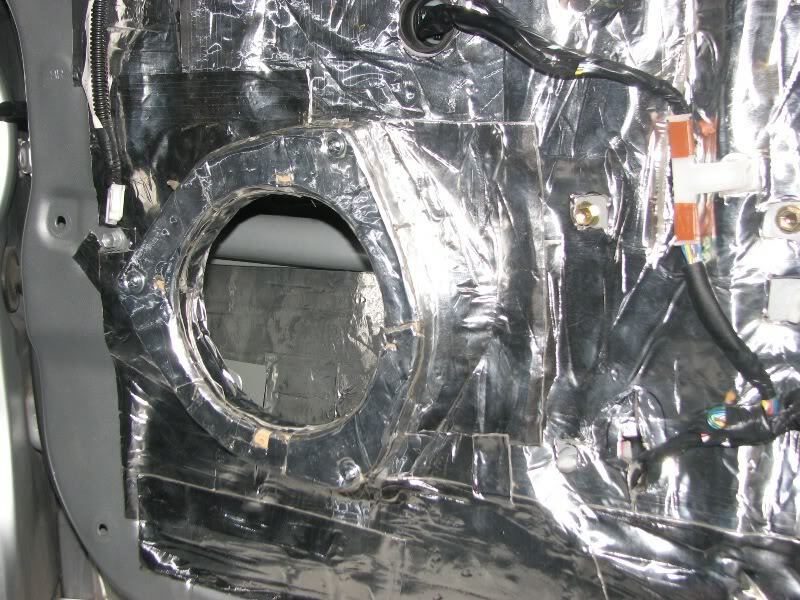 but don't cover the mounting holes! mostly deadened door - holes will be covered up next time and Ensolite applied. you must protect the speaker from rain water. 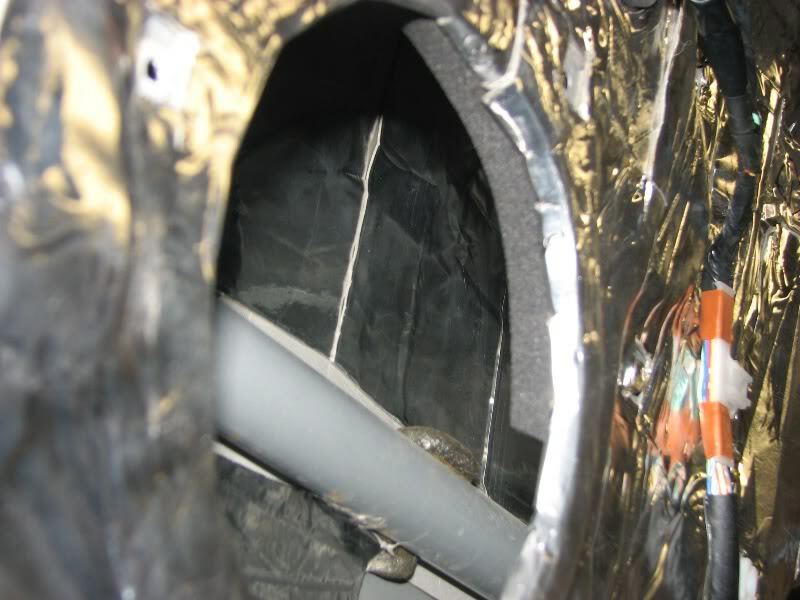 i use 3/4" closed cell foam weatherstripping along the top of the inside of the opening. gives the water a channel to follow AROUND the speaker. 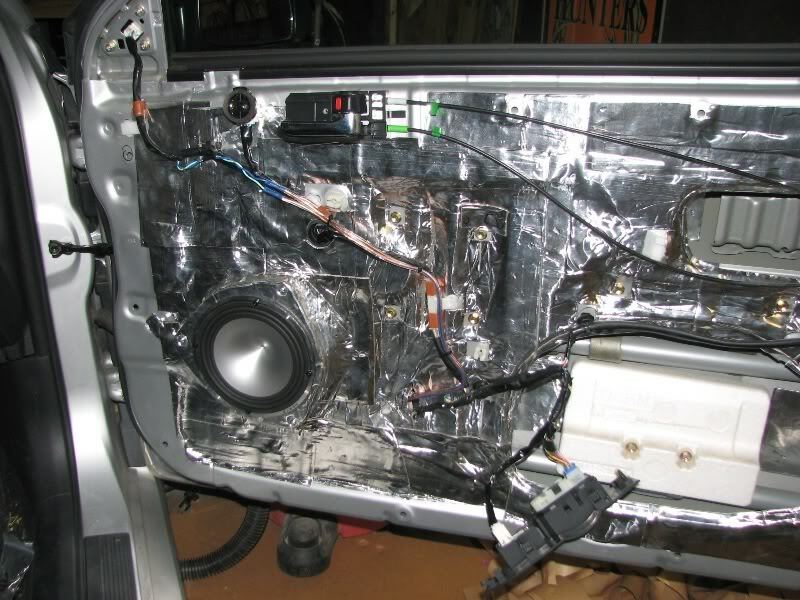 We are using the factory speaker wiring for now, until we install the Audison LRx5.1k, at which point we'll run new 14awg wire to the amp/crossovers. 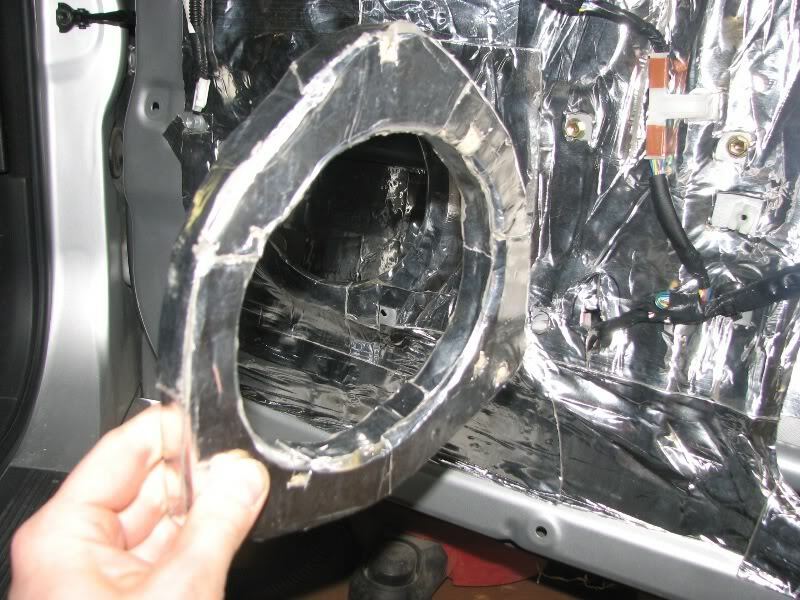 I cut off the end of the speaker terminal, and extend the wiring to inside the door, zip tied to factory wiring the whole way - even inside the door. Last edited by keep_hope_alive; 05-29-2010 at 09:53 AM. Reason: image size..
Next we'll install the awesome MLK tweeters in the apillars. 1. make one baffle, test fit driver and bolt up. make sure it works before you make the second one. 3. sound deaden, every time. two layers at the speaker mount. 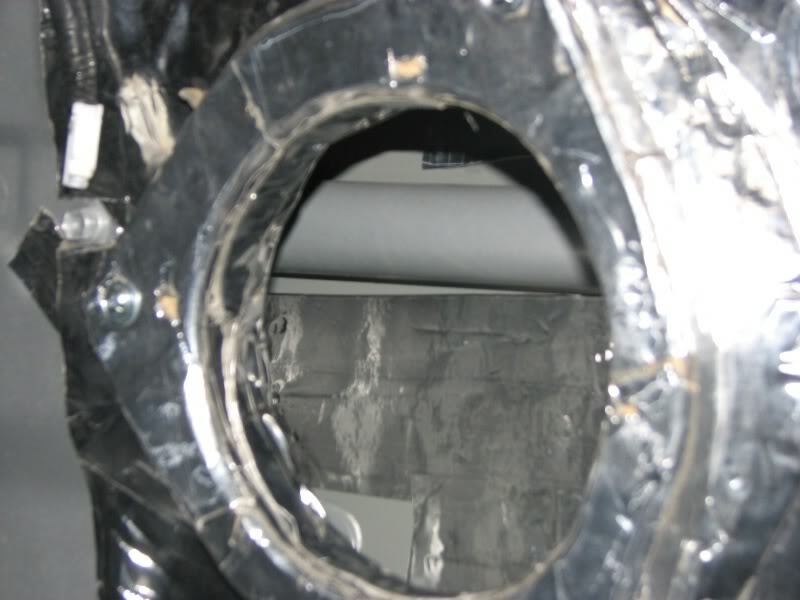 deaden the baffle separate. then deaden the seams. 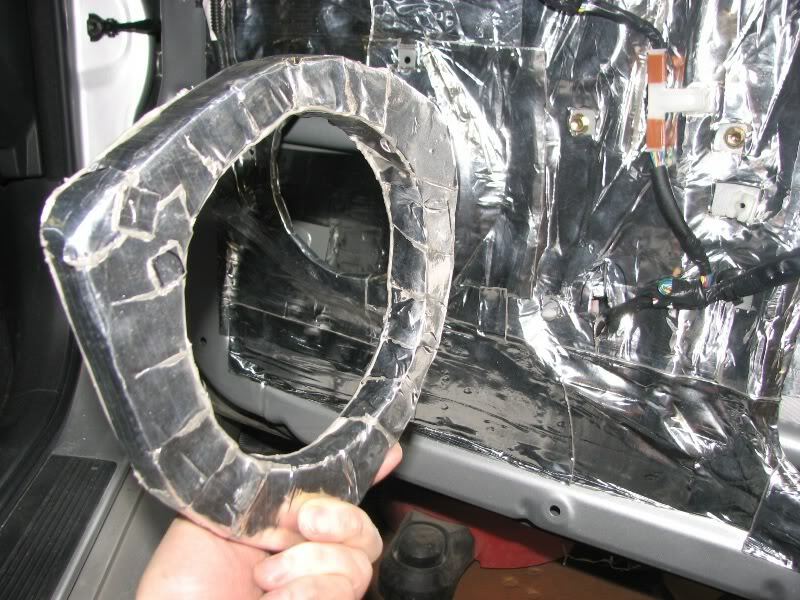 that way you have 3-4 layers of deadening between the baffle wood and the door metal. 4. always control water - the insides of your door get wet. 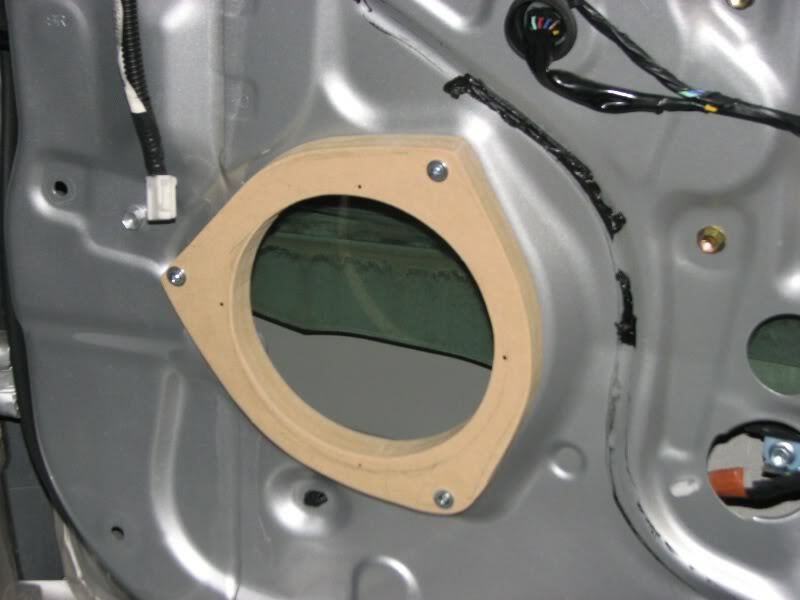 Parts Express sells XTC foam baffles that are sized for each speaker size, and can be cut out to match depth and control water. 5. i usually just run new speaker wire, and tie up the factory wiring. 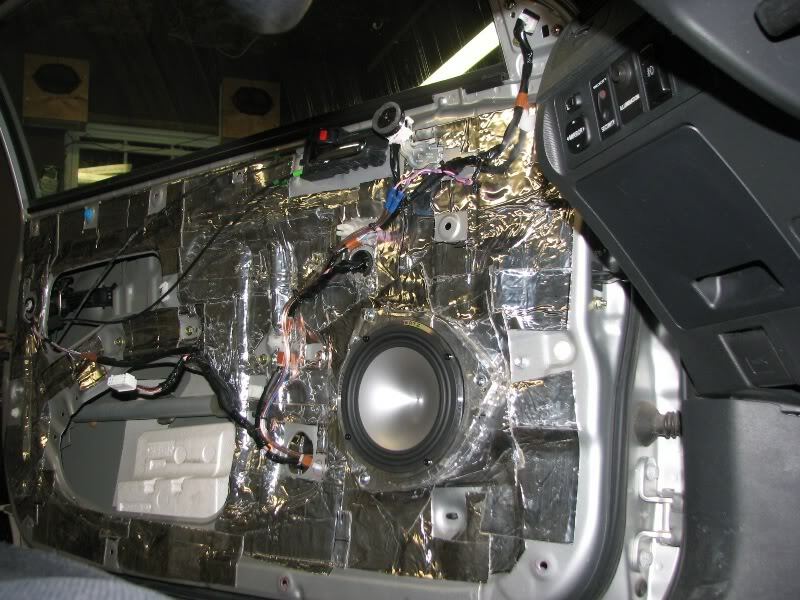 If you'll have head unit power only, factory wiring is usually ok. If you add an amp, factory wiring is not adequate. I use 14awg minimum for midrange/midbass speakers. 16awg for tweeters. 6. get a friend to help. 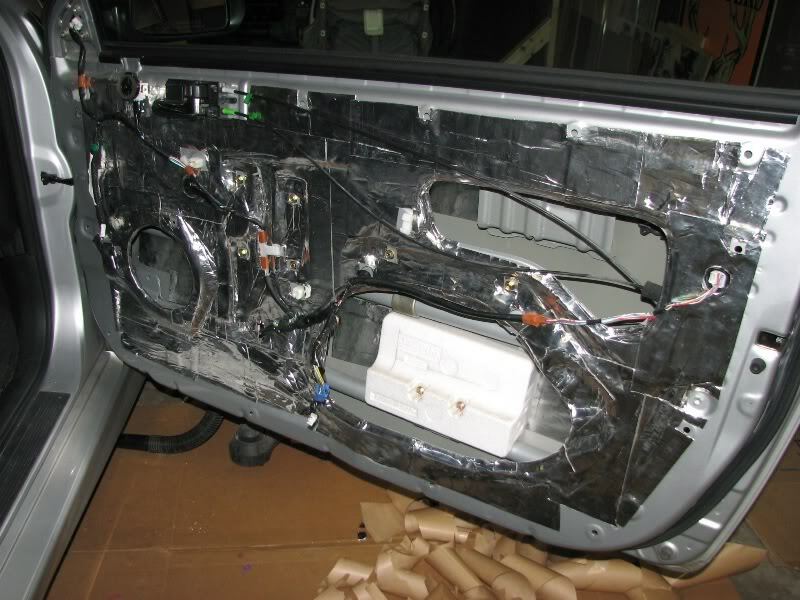 for this project, the vehicle owner did the driver's door and i did the passenger door. this was his first time deadening a door ever. the first time he'd ever done a sound system like this. he is learning along the way and helping as well. 7. take the time, spend the money. this takes time. the above install was done in an evening, two people working from 6pm-1am. And we still need to close up the holes and foam the whole panel. then we'll make the apillar mounts for the tweeters. 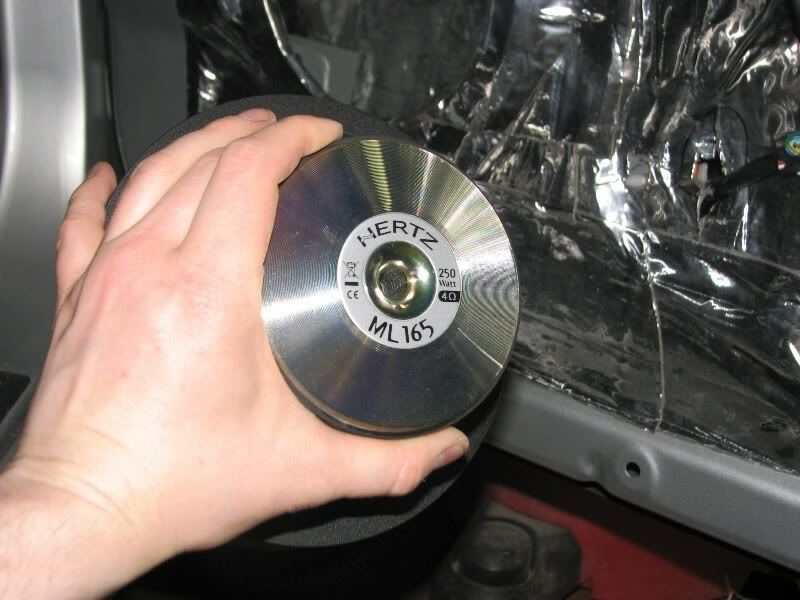 8. you need the correct fasteners. 10-24 bolts of various lengths, 8-32 sizes as well. I usually secure drivers with t-nuts. for the Hertz speakers, the crazy Italians have a very small driver size. Screws don't handle frequent removal in MDF. If we need to remove the driver more than once, we'll add t-nuts. 9. you need tools. 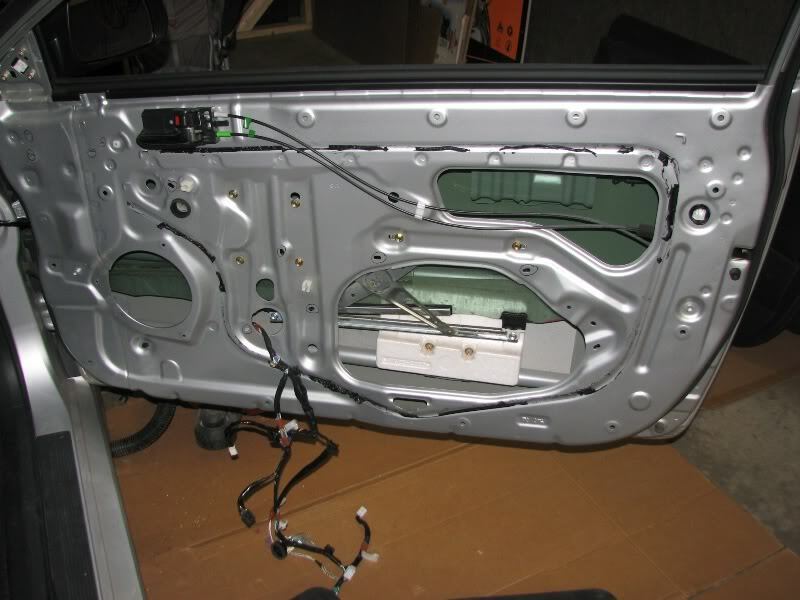 I used a drill, jig saw, palm sander, door panel/clip remover, shop vac, various screwdriver sizes and bits. 10. get a good space. luckily, i own my home and have a nice enough garage with plenty of lighting, 6 2-lamp 4' strips. i use cardboard on the floor with knee pads for comfort. 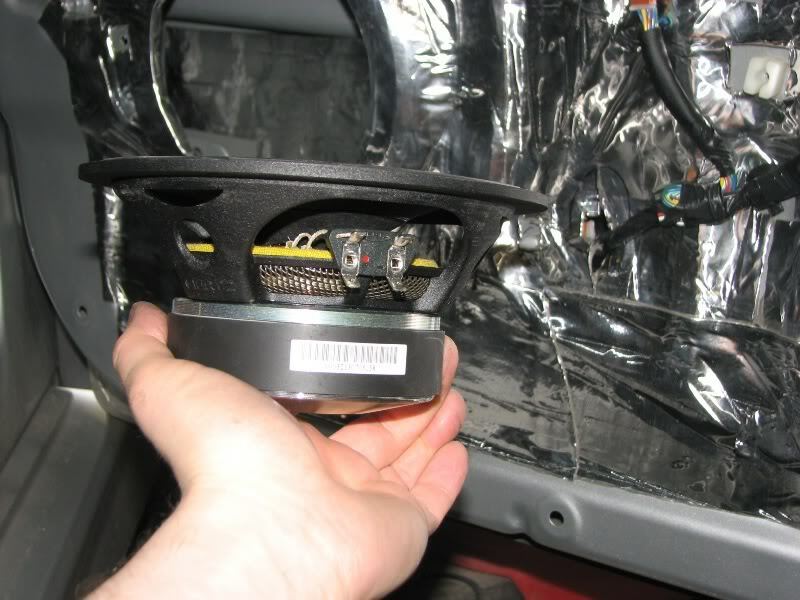 actually, the component tweeter has not yet been installed, the factory tweeter is poorly located near the door handle and is still being used in the meantime. you don't want tweeters in the door - you want them far from you, high on the dash. 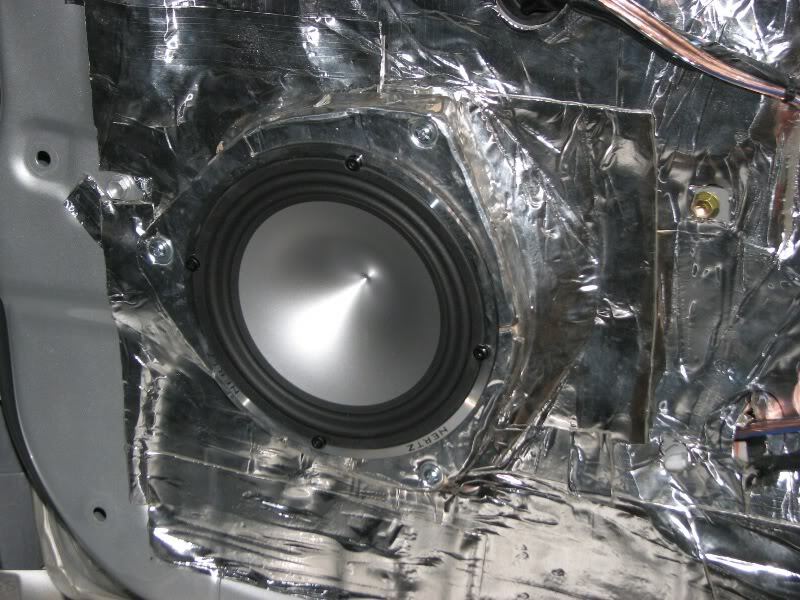 the matching tweeters for the Hertz Mille component speaker will be on the apillars - aiming to be determined, but probably aimed at the dome light. crossovers for these speakers are HUGE, and will be located in the rear by the amp and subs during that part of the build. we are just now getting back into this project - deadening the vehicle is next. 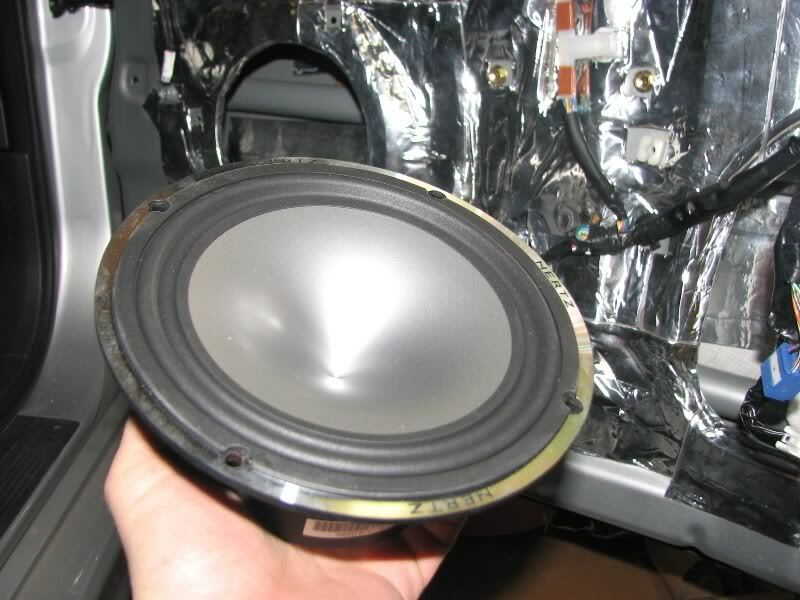 rear deck speakers can also be components. if you have a 6x9 holes you can fit a 6x5" component set easily. i use the factory speaker mount as my "template". 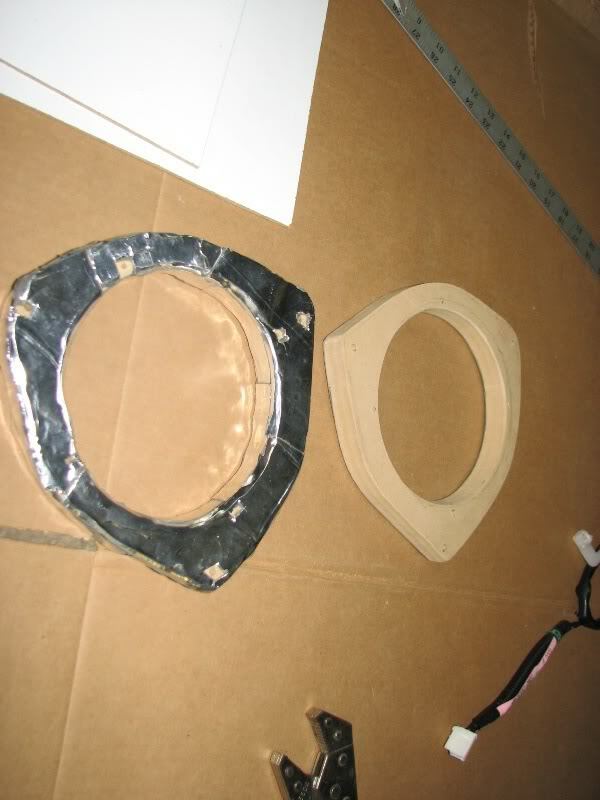 what i do is remove the factory speaker, then trace the factory speaker mount on cardboard, then test fit. once i like the fit, i'll transfer that to the MDF. cardboard is your friend - you can mock up anything with it, easily cut and trim and make new templates without wasting stock. one note - don't use the cardboard cutout for your hole. 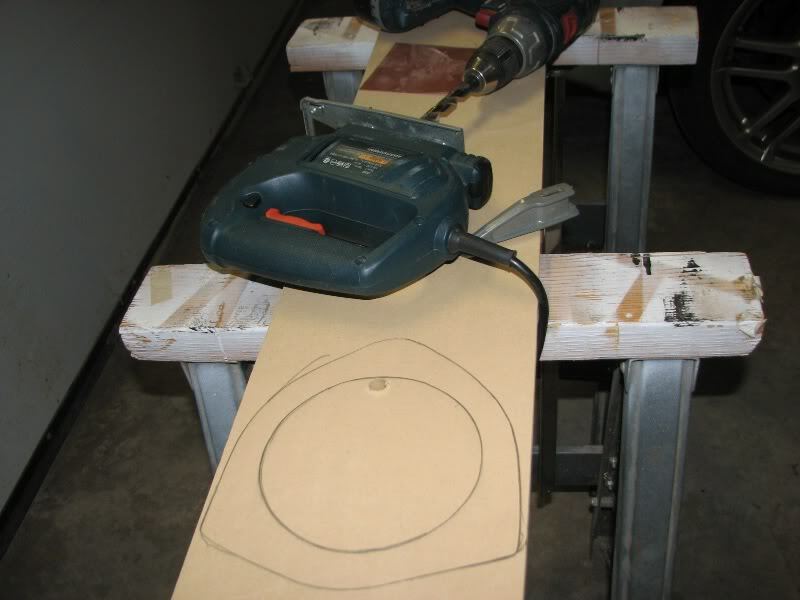 use a compass to draw a perfect hole, it greatly increases your chance at a perfect hole with the jig saw. all you need to make the baffle is a decent jig saw and new blades (for wood). Last edited by keep_hope_alive; 07-22-2010 at 12:58 PM. 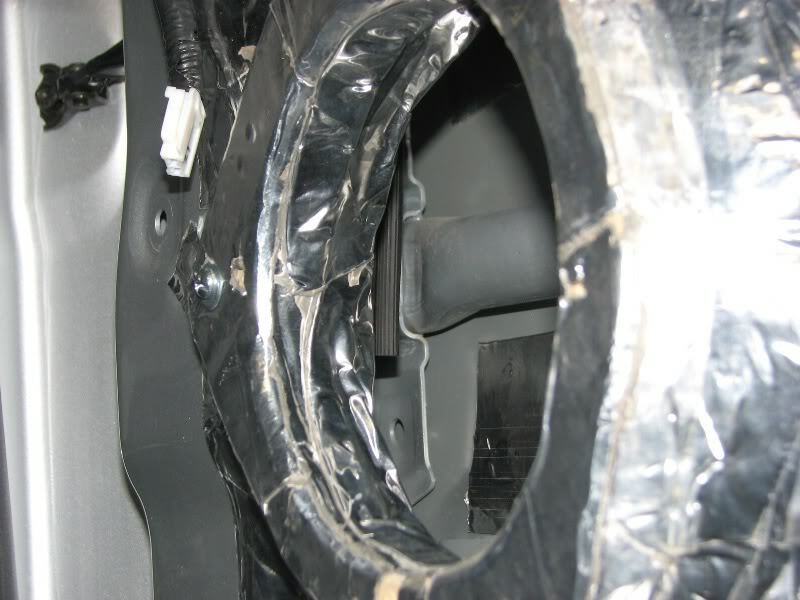 Here are other installations i have done that include custom door speaker baffles. 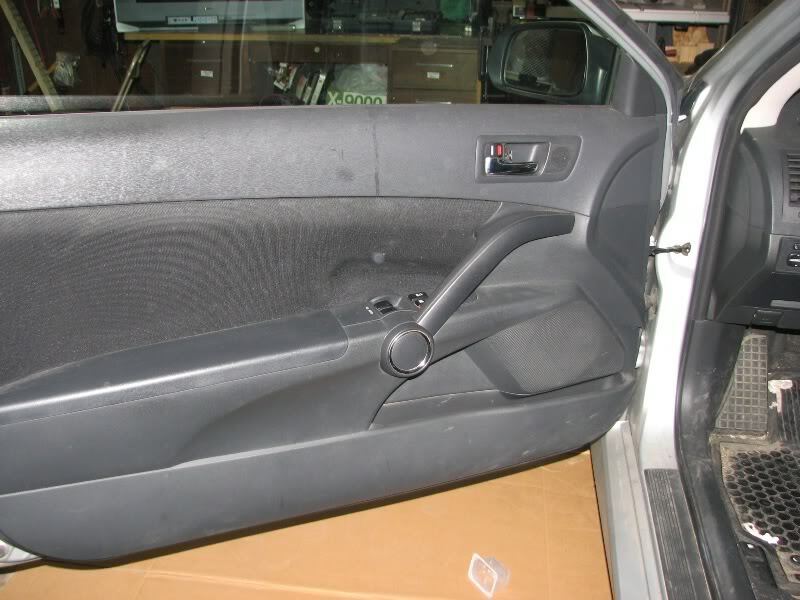 2006 Hyundai Elantra GT - completed phase 1, phase 2 is deadening and tweeter relocation - has crossovers in the front door pockets (actually worked out well). 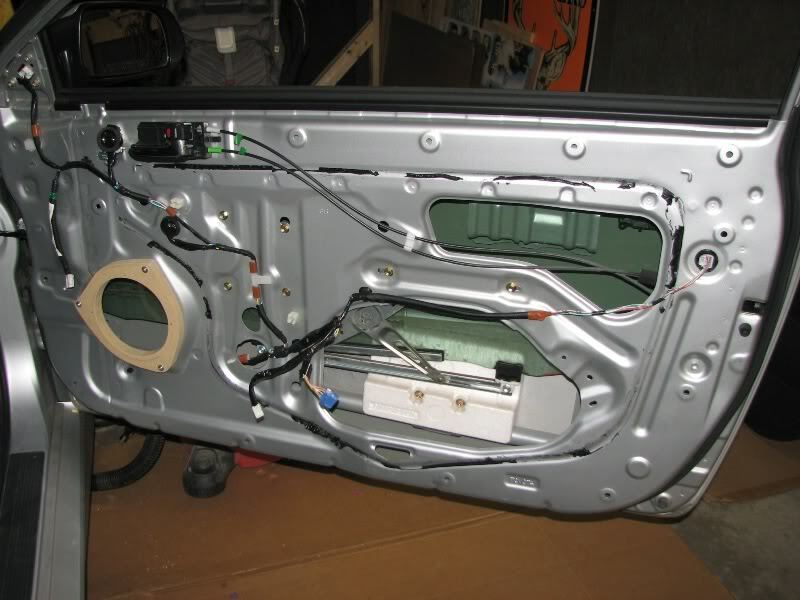 2002 Toyota Tundra Access Cab - not finished because after i got it working the owner stopped bringing the truck over. doors are deadened though, everything is functional. crossovers in the glove box (temporary until the center console is finished). Last edited by keep_hope_alive; 07-22-2010 at 12:56 PM.